Hummingen - Lolland. Nice cottage, 68 m²for 6 persons. Wonderful, south faced, closed garden, close to a nice sandy beach. Marielyst. Marielyst/Falster Summerhouse for 6 persons, only a few minutes walk from the sandy beach at the Baltic. Hesnæs - Falster. 2 new apartments with each 3 double bedrooms, modern kitchen, bathroom and livingroom. Møn. Small, cosy cottage for rent. 150 m from a fine bathing beach. 2-4 persons. Price 2400/3100 DKK/week. Næsby Strand. Luxury holiday house, 88 m2, for 8 persons. Site 1,800 m2. 300 m to bathing beach, childfriendly area. 2 bathrooms (Heated floor). Prices from 1.250-4.950 DKK/week. Internet. Woodburner, solarium, jacuzzi, dryer, washing machine, microwave. Bogø. Wonderful holiday flat for 5 persons in old farmhouse with sea view. Located in peaceful surroundings with beautiful nature. Central location for excursions. Central starting point for sightseeings. Næsby Strand. Right behind the dike. 50 metres to beach. Charming and cosy holiday cottage for 4 persons. Secluded site. All modern facilities. Prices from DKK 1.250-2.950. Weekend rental DKK 800. Humminge. Modern cottage for 8 persons with spa/sauna on beautiful site, approx. 200 m from beach. Large kitchen/lounge, 4 bedrooms and good terraces. Kramnitse - Rødby. Lovely, recent cottage for 8 persons - spa and fully equipped. Child-friendly. 200 m from fine beach. 4 bedrooms, 2 bathrooms. The house will be heated by arrival. Møn, Råbylille Strand. Bright summer cottage of 80 m2. Six good beds in 2 bedrooms and open loft. Combined family kitchen and living room. Two great terraces. 100 m from fine bathing beach. Møn - Råbylille Strand. Råbylille strand, Rusen. Beautifully located cottage for 8 persons on a site of 1,200 m2 with partly roofed terrace. 3 bedrooms. The house is child-friendly with child bed, high chair, pushchair, and pram and baby tub. Møn - Råbylille Strand. Newly refurbished, charming summer cottage of 70m2. Accommodates 6 in 3 bedrooms. Combined family kitchen and living room. 2 large terraces. 150 m from fine bathing beach. Møn - Råbylille Strand. Light and newly refurbished house with big windows facing south and lovely partly roofed terrace. Roofed evening terrace facing west. Morning terrace facing east. 3 bedrooms for 5 people in good beds. Marielyst - Falster. Very nice house with several terraces with sun and shelter in a quiet neighborhood. Completely protected and undisturbed courtyard. Mature annexe with 2 beds. Marielyst. 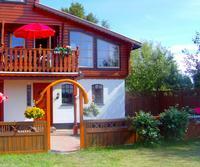 228 m2 summer cottage for 16 with swimming pool and spa bath. Very large living room, 3 bathrooms, 6 bedrooms and alcove in living room. Heating: electricity and oil. Rates start at DKK 4,000. Rates from DKK 4,000  15,000/week. Weekends from DKK 4,000. Møn - Askeby. Unique accommodation in a former mill refurbished in 2009. The mill is on 2 floors, comfortably furnished. The ground floor: hall, kitchen and bath. 2. floor: large room with 2 loft. 4 sleeps and childbet. Access to garden with playing ability. Kramnitse. 105 m2 new holiday house in Kramnitse for 6 people with Jacuzzi. Living room, 2 bedrooms and 2 open lofts, bathroom with Jacuzzi. International TV. Only about 600 m to great beach and angling opportunities. Møn - Tostenæs. Indulge yourselves and spend your holidays in a beautiful old mill on Møn. Lounge and family kitchen, 3 rooms, bathroom. 180-degree roof terrace with garden furniture, deck chairs and small garden with barbecue. Marielyst - Falster. Large pool house with kitchen, large living room, large dining room, 4 bedrooms, sleeping platform, 2 bathrooms and pool area with pool, Whirlpool and sauna. 2 terraces one of which is roofed. The house is suitable for 2-3 families. Marielyst. The house is situated in a quiet location 75 m from a sandy beach. It is divided into 2 apartments and can accommodate a total of 10 persons and a small child. You can rent an apartment or entire house. The house is ideal for a holiday for 2 generations. Kramnitse - Lolland. Nice cottage for 6 people to rent in Kramnitse. 2 rooms, kitchen / dining, 3 bedrooms, bathroom. The house is located in a quiet, scenic area and near the beach. Marielyst. Pool house for 12 people close to Marielyst beach and town. 165 m2 house refurbished in 2008. Five double rooms and a sleeping platform for two. Two bathrooms. In addition large lounge, large pool area. Marielyst. Pool house for 14 people close to Marielyst beach and town. The house has 6 rooms and two small one-person sleeping platforms. The house stands on a sheltered site with a very large terrace. Large living room, large pool area and three bathrooms. Bandholm - Knuthenborg. Romantic half-timbered farmhouse with thatched roof. Idyllic and secluded located in small village. Well-groomed garden. The house has large living room, 3 bedrooms, kitchen, bathroom, garden and terraces. All modern facilities. Marielyst. Charming cottage for 4 persons. Lounge with open kitchen, bedroom, open loft. Close to lovely sandy beach. Pets by agreement. Møn- Stege. Gentle restored old smithy with super location and view. Includes kitchen, bathroom and loft. Extra bedroom / living room and new bathroom in separate building. Terraces and lovely garden. Møn - Stege. Beautiful, new holiday house on Moen with nice living room with woodburner, kitchen / family room, 3 bedrooms and 2 bathrooms, one with spa and sauna. Terraces and lovely garden with a playhouse. Quiet and child safe area. Hummingen. Dream house, 50 m from the sea, with lounge, kitchen, 3 bedrooms, sauna, terrace, fireplace, 2 toilets with shower. Not far from Lalandia with subtropical water park, Knuthenborg Safari Park with wild animals and the Medieval Centre in Nykøbing F.
Marielyst. Great cottage for 6 people with sauna and whirlpool, 3 bedrooms, wood stove in very quiet area. Enjoy your holidays, summer and winter, 400 m from lovely sandy beach. Hummingen. Holiday flat 50 m from the beach close to the charming fishing hamlet, Kramnitze. Fine angling opportunities from the beach. Dream flat with lounge, American kitchen, one bedroom and two alcoves, sauna and whirlpool, toilet and shower. Hummingen. Dream apartment for 4 persons with living room, American kitchen, a bedroom and sleeping possibility in the living room, toilet and shower. The apartment is located 50 meters from the beach near the fishing village Kramnitze. Good fishing from shore. Marielyst. Cottage in the first row at Denmarks best beach in Marielyst on the Baltic coast of Falster. Views of the Baltic from the terrace on the first floor. Area 123 m2. 4 - 6 people. Marielyst - Ulslev strand. This 200 m2 family cottage for 11+4 people stands in the first row by the water with fine beach. Large family kitchen, 5 rooms and 2 bathrooms. 6000 m2 nature site with place for bonfire and football field. Bicycles may be borrowed. For several families. Marielyst. 6-8 persons cottage, 5 minutes to beach. 3xDB, 1xbunk bed. New kitchen with everything, woodburning stove, covered veranda, 2 terraces with, Weber grill. Marielyst. 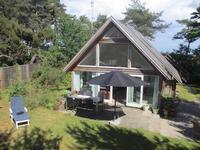 Super cottage of Kalmar type for rent for max. 8 people. 4 bedrooms, 2 bathrooms, one with jacuzzi and sauna. Kitchen, utility room. Lovely large terrace. Carport, garden furniture, cable TV and wood stove. The house is not available for youth groups. Møn - Ulvshale Strand. Great, Finnish log cabin for 6 people. Wood stove, large garden and south-facing terrace. Less than 200m to child-friendly beach. Close to wood and bird sanctuary, midget golf and ice cream shop. Cycle along pretty roads to Møns Klint and Liselund castle. Fejø Feriecenter. 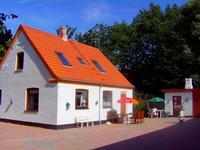 Rent a charming holiday home in lovely Fejø. 59 sq.m. -4 people. Large lounge/kitchen, 2 bedrooms. Everything is newly refurbished, indoors and out. Stand on large common land with grass and plants. Fine platform for visits to Knuthenborg Zoo a.o. Guldborg - Falster. Romantic country house idyll with thatched roof and timber frames at wood and open fields - roe deer. The house is 65 m2 in 2 storeys. Charming, little garden facing open fields and nature. The house has been currently refurbished. New, fine bathroom. Marielyst. Very cosy, modernized cottage of 101 m2 for 4 +2 people, located on a lovely sunny site near the center of Marielyst with walking distance to beach and golf course. 3 bedrooms and covered patio. The house can be used all year. Marielyst Strand. Marielyst - 8 people. Wonderful quality house, located in secluded area close to shopping and the country's best beach. Very bright house, functional and nicely furnished, 4 bedrooms, 8 beds, 2 baths. Everything like home - here lacks nothing. Marielyst. Very nice cottage of 98 m2 on lovely enclosed site, close to the beach and shopping. The house has all White goods, barbecue and a lovely covered terrace where summer evenings may be extended. Marielyst - Sillestrup. Lovely house on dead end street. 80 m2 house and 20 m2 covered terrace on a large, light and well-kept site. Kitchen and living room and 3 bedrooms. New remodeled bathroom. Barbecue and garden furniture. Ca 250 m from the beach and 500 me to shopping. Maribo - Erikstrup. Cosy renovated country house, surrounded by fields and woods. Kitchen, dining / living room, bathroom, 3 bedrooms, covered terrace and garden. Beautiful area for walking and cycling. Close to Knuthenborg, Lalandia Holiday Resort and Rodby ferry.